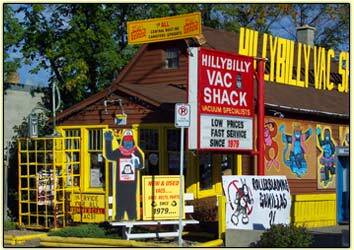 Hillybilly Vac Shack in Regina has a large selection of commercial vacuums for businesses of any size and industry. Commercial backpack, wide area, dual motor, and heavy duty vacuum cleaner units are available. Combining quality and durability, options include wide nozzles, extra long cords, bags, and tanks, removable attachments, and much more. 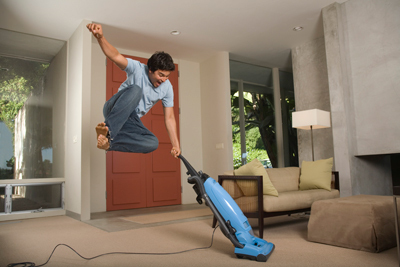 We have products specialized for cleaning indoor/outdoor carpet, maneuvering in tight spaces, and reaching underneath fixtures. We also carry commercial wet/dry vacs to remove excess moisture and transition from carpet to flooring. Our vacuum cleaner dealer works with professionals in several industries including education, medical, retail, restaurants, and hotels. Just a few well-known brands we have available include Oreck, Kent, Panasonic, Fuller Brush, and Hoover. Commercial vacuums have different filtration options, including HEPA and shakeout bags. Regardless of your business’ cleaning needs, Hillybilly Vac Shack is the final place you’ll need to look for your commercial vacuum cleaner. We also have accessories available, including refill bags, belts, brushes, outlet adapters, and replacement wheels.